The cards measure 2.5”x3.5” on 310gsm (linen) glossy card stock and are encased in a beautiful, sturdy lidded tin box featuring the card back design and light language. Order will ship in mid April 2019. Communicating through symbol and metaphor, these cards portray messages from the Arcturian beings of light to ease our awakening process and help us remember who we truly are. Memories of the ancient future inlay these images, scattered with light language scripts and galactic vistas. Cards are 100% complete. You will receive a digital guide to the cards along with your deck. Add-On: Audio 1+hours | included with all preorder, you can select this add-on to receive exclusive access to downloadable audio files featuring more in-depth information on topics such as: 5D vs 3D, dimension vs density, how light language came channeled through me, what Atlantis and Lemuria are according to the Arcturians. This is not in place of the guidebook but an added bonus for those who like to get more in depth with their learning and expansion! These beings of light are some of our most prominent galactic family members working behind the scenes to facilitate our ascension process. Hailing from Arcturus, their energy represents a pure balance of the divine feminine and the divine masculine. They love to communicate through code and symbol and are said the be the original architects behind the crop circles of the world. The archetypal and geometric language of astrology is a favorite of Arcturians as well, along with the use of sacred geometry to convey Universal truths. Light language is a vessel for immensely powerful healing, transformational shifts through the power of word. We all know these words and the infinite shapes, sizes, and sounds they reverberate through our being. The logical mind is of no use here as light language works with the intuitive mind, heart, and being. There is no making sense of it, but we sense it nevertheless. Use these cards as portals for healing. This is my intention, though your intuition may guide you elsewhere, and elsewhere you shall go. Delve into their potency in your journals, write, doodle, and soon you too may find yourself a scribe for the soul, a channel for the language of light. I knew this was going to happen. I knew this deck was going to be born. I knew it was happening, and I thought I knew how, but I quite clearly did not. This deck has gone through so many iterations in the over three years of its gestation until I finally released the structures, keys, and barriers I thought were essential to its creation and simply let it flow. Time tables, spreadsheets, and keywords were no the keys to unlocking this deck. Little did I know that letting it flow would expand into so many other areas of my life, beyond the spiritual. Over the years, I began to trust my creative power and trust my intuitive hits more precisely, more intensely than ever. When I surrendered to my journey ahead and stopped boxing myself in, stopped labeling myself and my work and started letting it define itself, my life ironically became more defined. Edges of my beliefs became clearer and more refined, memories of my past lives came flooding into my conscious awareness, and all the while I was channeling these images, creating just for the sake of creating, not envisioning they would be part of a deck whatsoever. And then the light language came through as something entirely new and ominously familiar. I didn’t know how, but these scripts were flowing through me and imprinting on my artwork, magnetically connecting like two halves of the same whole. There it was, the creation I would never have been able to imagine if I had not envisioned its intentions, if I had not released the control I had been holding onto so tightly because I believed it to be the right way to produce a creation. This deck is not produced, it is birthed. This deck is alive and teeming with life, liquid in energetic form, impossible to engage with unless our vessels are ready to receive. 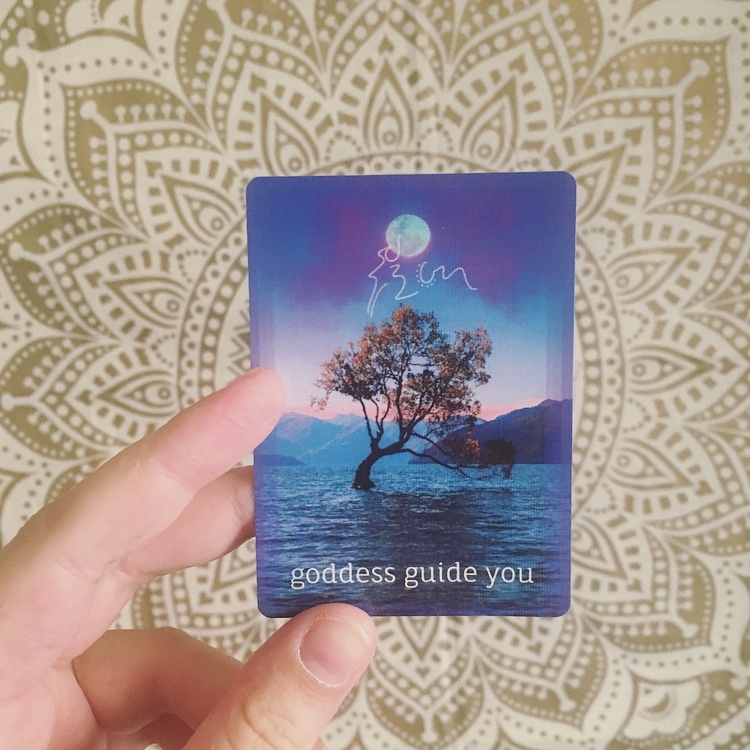 This deck invites you to drink up, fill your cup, and steep in its lessons, until we turn from viscous to material form, solid in our states of awareness and grounded in the unique truths this deck can impart on each of us. The guide for the cards in it of itself has been a journey for this precise fact - the deck will mean something different to each person, but I feel guided nevertheless to express my thoughts on these cards that do not feel my own as their channel. Yes, this creation feels of a divine device, my ego having been the only obstacle in its production. But ego is a righteous thing, it is the thing that makes us human and guides our human experience, so in this guidebook we celebrate the ego by telling stories. 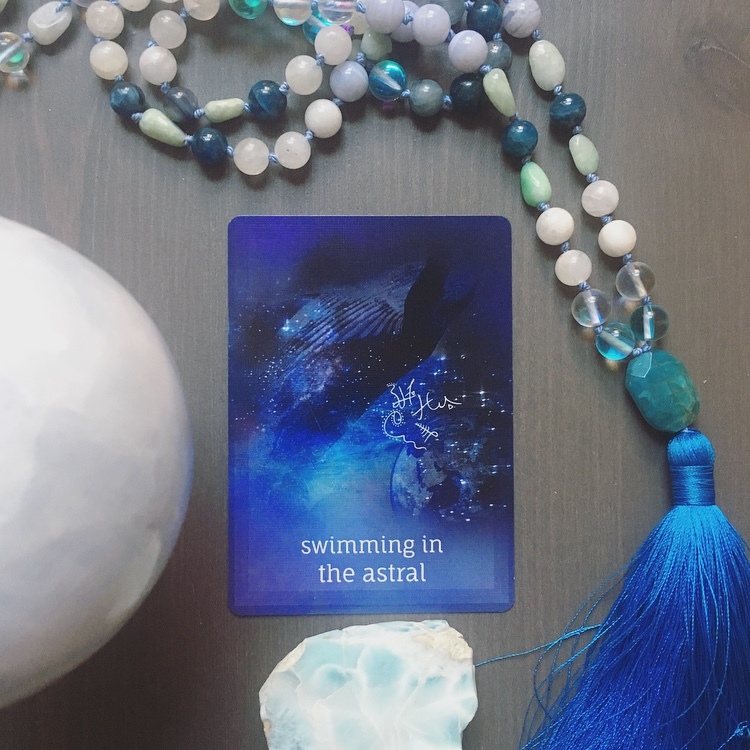 You’ll find some of my personal anecdotes along with card interpretations, but know that your stories matter too, your experience with the cards matters too. My deepest hope is to inspire others through channelings, such as these cards, to live their most authentic lives and revel in their highest truths. It is my truth that I am the vessel for the wisdom in these cards and beyond their bounds, into the intricacies of what I offer to the world. So much gratitude to the creators and contributors to Unsplash for the photography behind the digital art collages. Thank you to the creators of Procreate, Enlight, and Photofox for providing the digital tools I needed to weave these creations, and to the technology of the Apple Pencil, for being the wand that channeled the light language. Thank you to my partner for always supporting me after every moment I hit a wall, and lifting me up even higher when I reached a milestone. Thank you to Rakaiel Webb for providing the Remembering Lemuria container during which the deck evolved in ways I never expected. Huge thanks to my friends in this spiritual community who, along the way, encouraged me to continue creating, particularly Imogen Walters, for being my cheerleader from across the pond through and through. Though I may have forgotten some, I have so much gratitude for everyone and everything that helped me and this deck reach the point that we have.